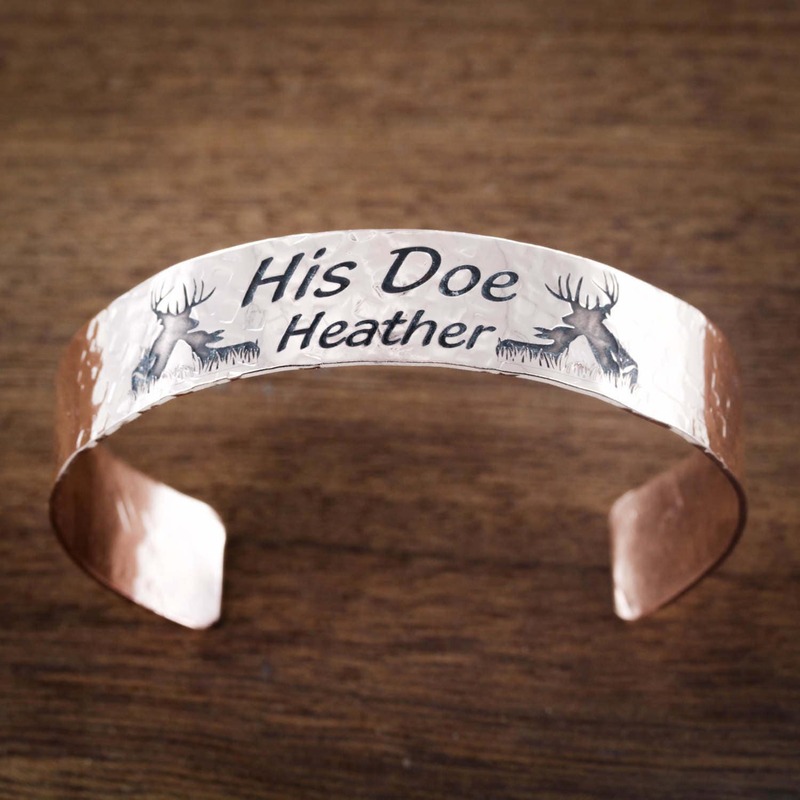 This is a copper bracelet cuff that we have engraved a buck and doe design into. 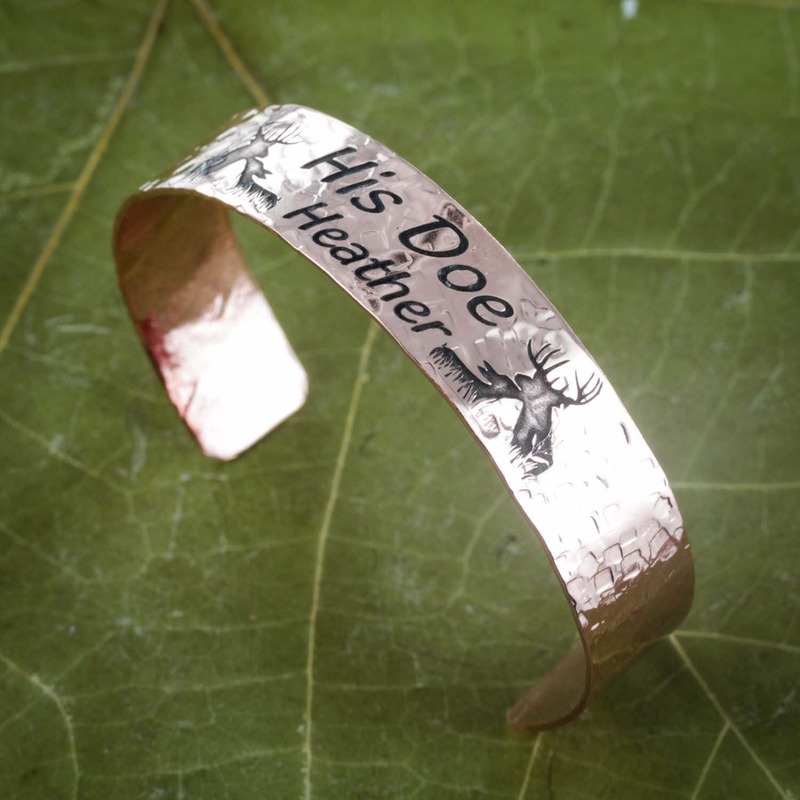 We will also engrave a custom name with "His Doe". We hammer the copper by hand and then start engraving. Just let us now in your order comments what name you would like. 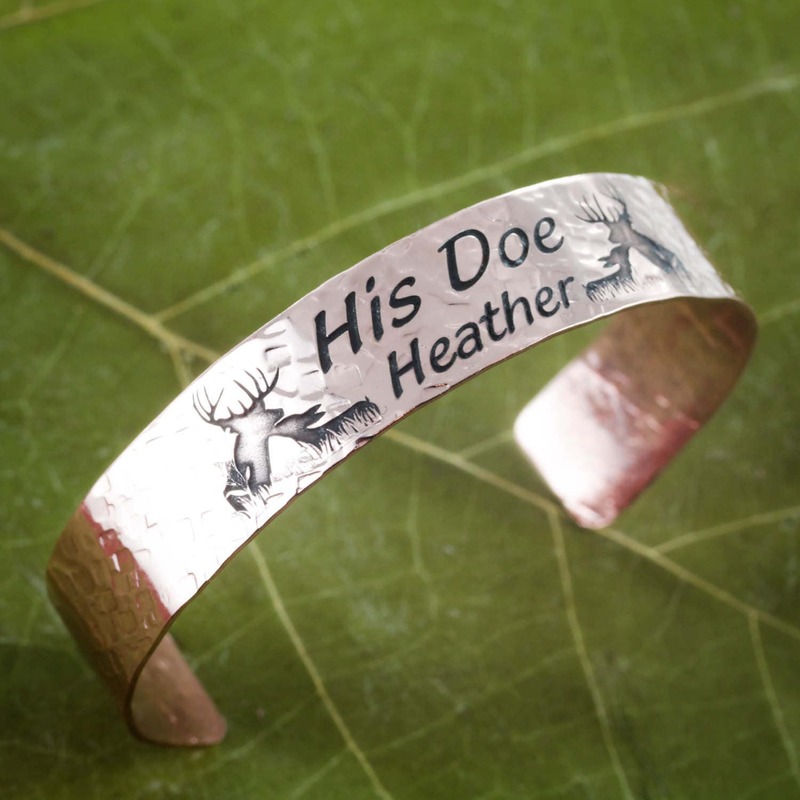 If you would like it with "Her buck" or just the name then please let us know in the comments.